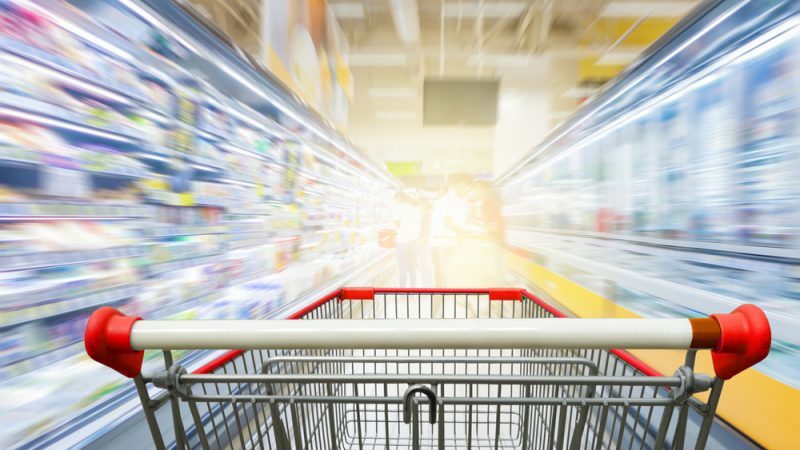 European ministers meeting in Luxemburg today (9 April) will formally approve new European rules that ban abusive trading practices by supermarkets and large buyers in the global food supply chain, writes Marissa Ryan. Marissa Ryan is Oxfam International’s deputy director of advocacy and campaigns, and head of Oxfam’s EU office. This could help transform an industry where exploitative practices are commonplace – from the demand for ever-cheaper produce to late payments or last-minute cancellations of orders, refusal to provide written contracts, or charging unjustified fees for selling a producer’s product. Tomato pickers from the region of Puglia in Southern Italy, including many migrant workers, told Oxfam that they start their days as early as 3:30 am and work up to 11 hours, often with little or no break. Filling a box with 300 kg of tomatoes earns them an average of just €3.50 to €4.50 resulting in pay as low as €4.20 an hour. Many live in slums with no running water or electricity. The tomatoes they pick end up on supermarket shelves across Europe, bought by consumers who have no idea they are contributing to the misery of workers in the EU. Multiple cases of sexual assault and labour exploitation have been documented, for example, in the province of Ragusa in Sicily, Europe’s third largest producer of vegetables, where more than 2,000 female Romanian farm workers may be subject to practices that amount to forced labour, and risk horrendous abuses. Shrimp from Indonesia and Thailand, pineapples from Costa Rica, bananas from the Philippines and Ecuador, and grapes from South Africa – many of the products in our shopping carts are produced by a system built on human suffering. The new European legislation is an important step towards ending the unfair trading practices that cause this suffering. Exploitative practices are widespread but difficult to document because of the pervasive climate of fear in retail supply chains. Suppliers are reluctant to complain about fear of retribution by supermarkets who control access to the vast majority of consumers. The fear of speaking out reflects the increasing power inequality in food supply chains. As the supermarkets’ control has grown, they have become more and more brazen in dictating conditions to their suppliers. At the same time, clampdowns on trade unions and pressure on producer cooperatives have steadily eroded the bargaining power of small-scale farmers and workers in many of the countries from which our food is sourced. The impact is devastating. Recent Oxfam research on a sample basket of 12 everyday products including orange juice, coffee, bananas and rice, sourced from countries around the world, revealed that none of the farmers or workers involved in their production earned enough to support a decent standard of living. The new European legislation will protect producers from all around the world and cover all food products bought by retailers based inside the EU, wherever these products come from. But this will only happen if the European Commission, national governments, and civil society organisations seize the opportunity and do their part. The EU should advertise the new legislation in producer countries, particularly in developing countries. And member states must ensure that the national authorities tasked with enforcing the rules across the EU are able to investigate and impose sanctions on companies that fail to comply. Only when the law is enforced will it put an end to practices that force food producers into poverty, whether they are small dairy farmers in Belgium or grape pickers in South Africa. An important, hard-won feature of the new legislation is the right of Non-Governmental Organisations to file complaints on behalf of suppliers. Non-governmental organisations and civil society organisations now have an important instrument to fight the fear factor in global food supply chains. They have a responsibility to stand up to exploitation and help workers and producers to submit complaints where needed. The new directive is a powerful tool in the fight against unfair trading practices – governments, civil society organisations, and the European Commission must now use it to protect the people behind the barcodes.